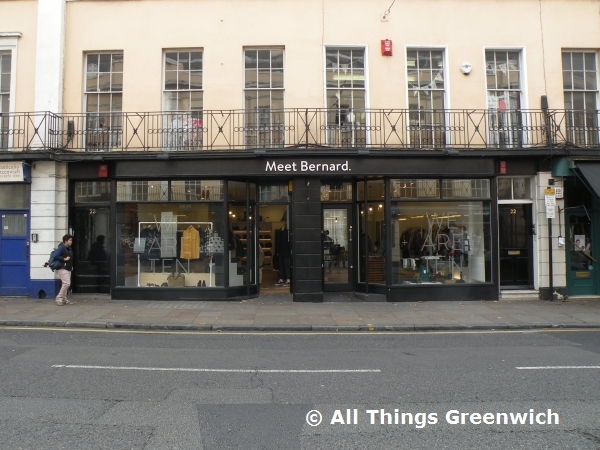 Meet Bernard is a retailer of men's and women's casual clothing and shoes. They sell jeans,shirts, jackets, knitwear, polo shirts, footwear and sportswear from brands such as Fred Perry, Stussy, Loake, Lyle And Scott, Adidas, Fila, Nudie, One True Saxon and many others. Every Day 10am - 6pm. Meet Bernard is located on Nelson Road. Find your way to Meet Bernard by public transport with Transport For London's Journey Planner.